Secure your site today with a SSL Certificate! Running you website over a secure socket layer is more important today than it ever was in the past. Having a valid SSL certificate installed on your server encrypts all traffic between the server and the guest’s browser so any data transfer is impossible to intersect and decode. It is also something that search engines look for and having a valid SSL certificate from a recognized issuer can help boost your ranking. It also makes it more difficult for hackers to “break into” your site. 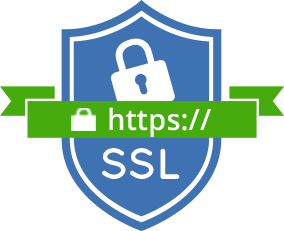 Pensacola Web Designs has teamed up with today’s top SSL Certificate companies and we offer these SSL certificates at deep discounts to our customers. We’ve also made it easy to keep your certificate up to date by incorporating everything into our easy to use customer account portal. Having a SSL certificate for your domain and websites is not just for e-commerce websites anymore and every site should have one no matter if you are collect customer information or not. We are here to help you with any questions you may have about SSL Certificates so contact us today. Secures traffic between server and browser through an encrypted tunnel. Stops fraud and protects customer information. Helps boost search engine placement in search results. Provides customers with the reassurance you care about their security. Makes your site look more professional having the lock in the browser bar. Required for e-commerce websites and PCI compliance. business and personal web sites. Thawte SSL Web Server certificates will bring a new level of trust to your website. Since these are Organization Validated, or OV, certificates, your online customers will be able to see that your business was verified by one of the most trusted names in internet security. Symantec™ is the world’s most trusted SSL certificate brand in the world, as their certificates display the globally recognized Norton™ Secured Seal on every site they protect. *Prices shows are for 1 year and for one domain. Prices subject to change. Please browse our online store to check the latest pricing matrix.